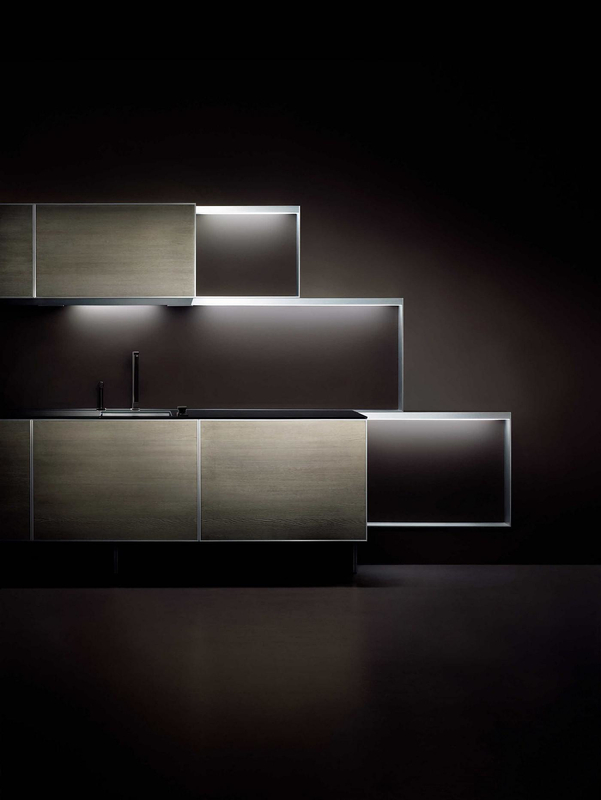 HomeBlogHome DecorPoggenpohl Porsche Design Kitchen P7340. 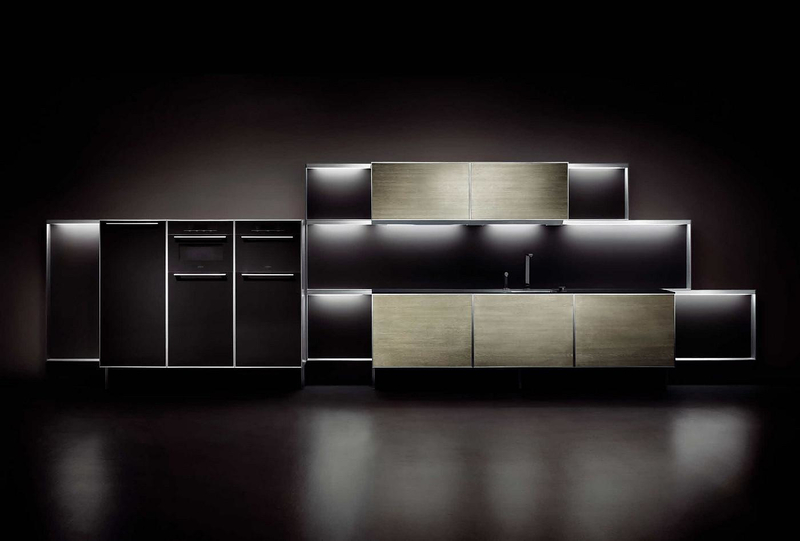 Porsche Design and Poggenpohl Mobelwerke present the P’7340 a different kind of kitchen with sleek and functional design that is perfect for the modern chef. 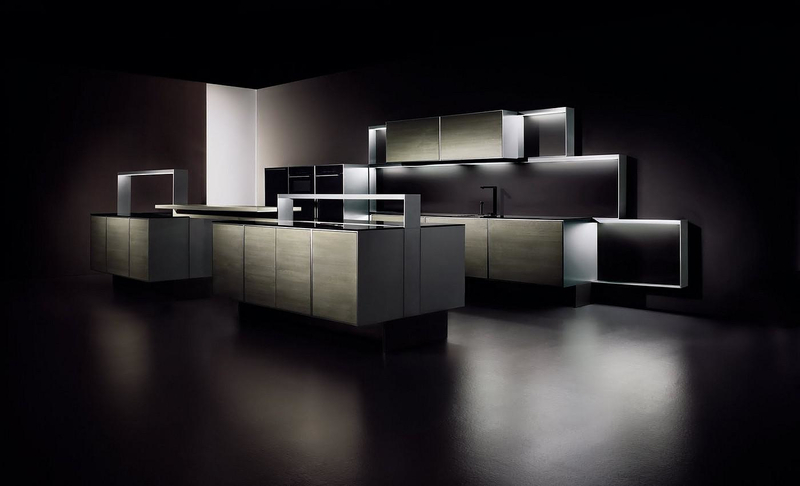 The concept of the Porsche Design kitchen is of course a masculine approach radically different from your average kitchen. 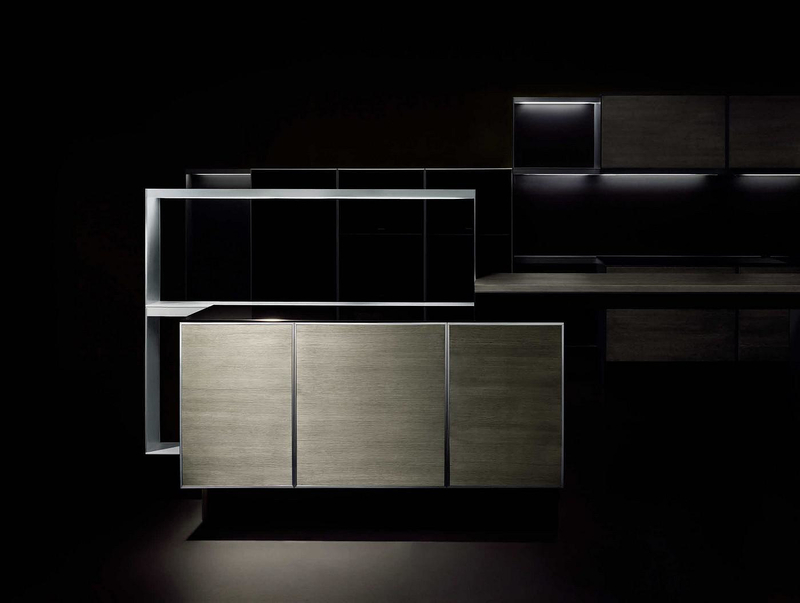 Many parts are made from aluminum, this gives it an amazing look that we men love, while the modular design and integrated LED lights add to the dynamic look. 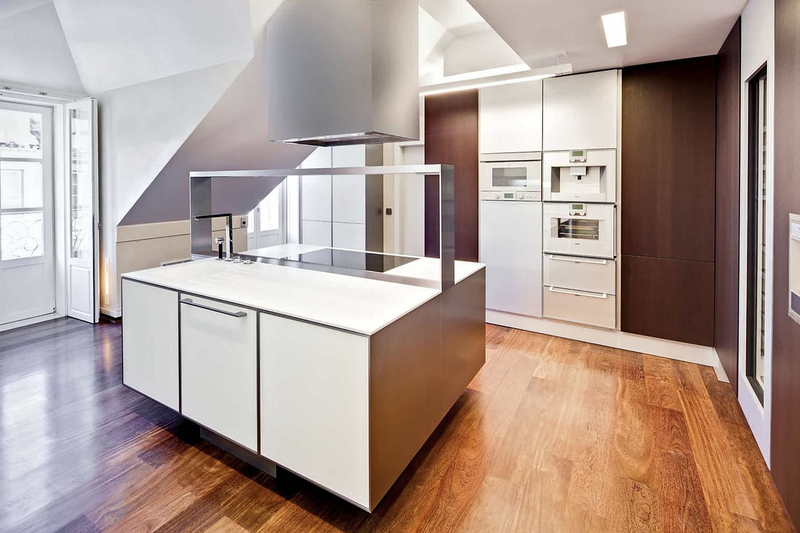 Several factors were taking into account when designing this state of the art kitchen. 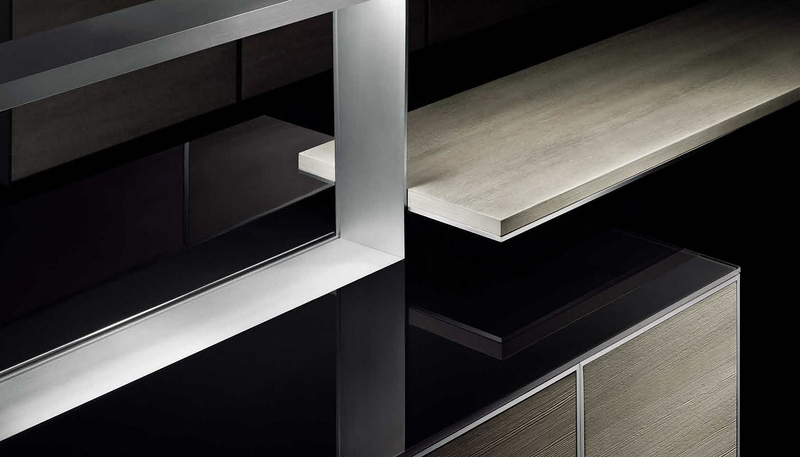 Partnership of equals: when Porsche Design and Poggenpohl collaborate on a new kitchen range, the result is as dramatic as it is revolutionary. 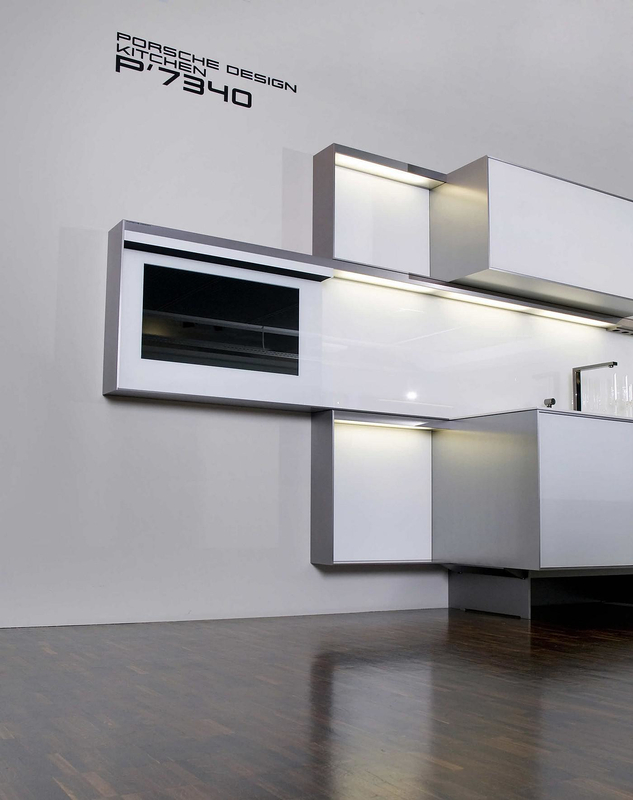 Innovative design and precision engineering combine to create a kitchen of unique and enduring appeal. 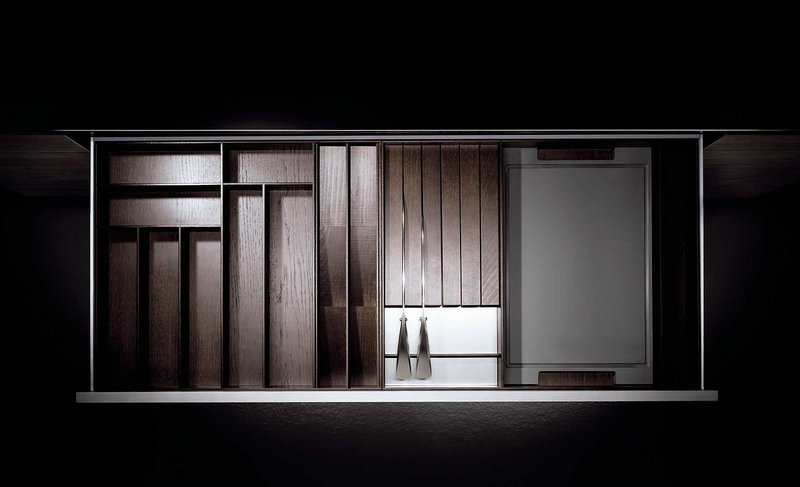 Form and function meld into one – a kitchen that expresses its purpose with drama, clarity and grace. 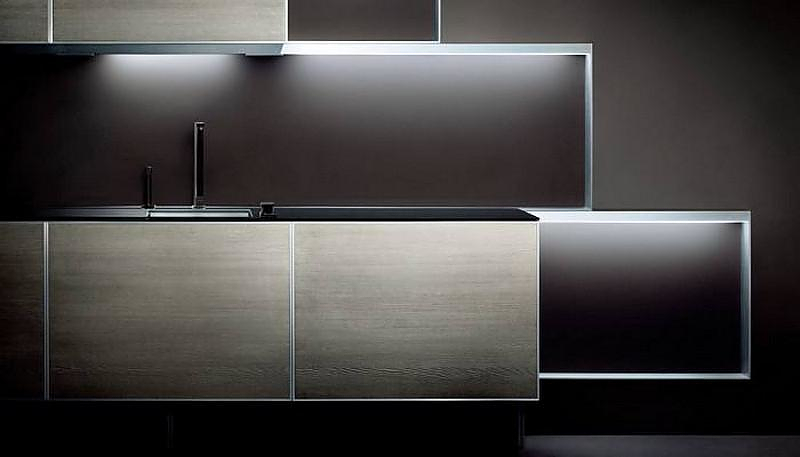 The key design feature of the Porsche Design Kitchen is the aluminum frame. 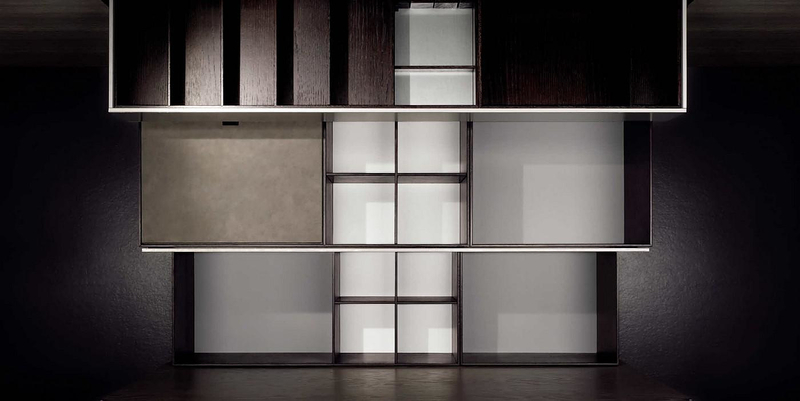 Strong, simple and linear, its modularity is almost infinitely adaptable. 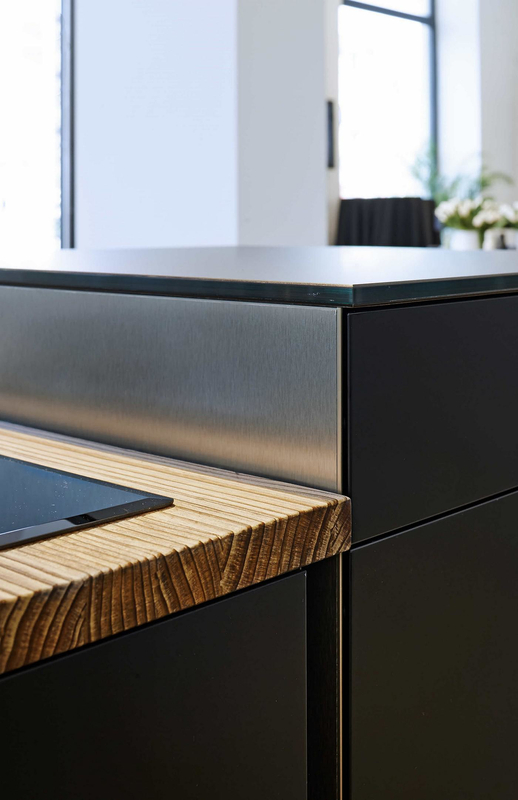 Unlike the classic fitted kitchen, elements no longer need to be arranged side by side but can be positioned anywhere within the frame. 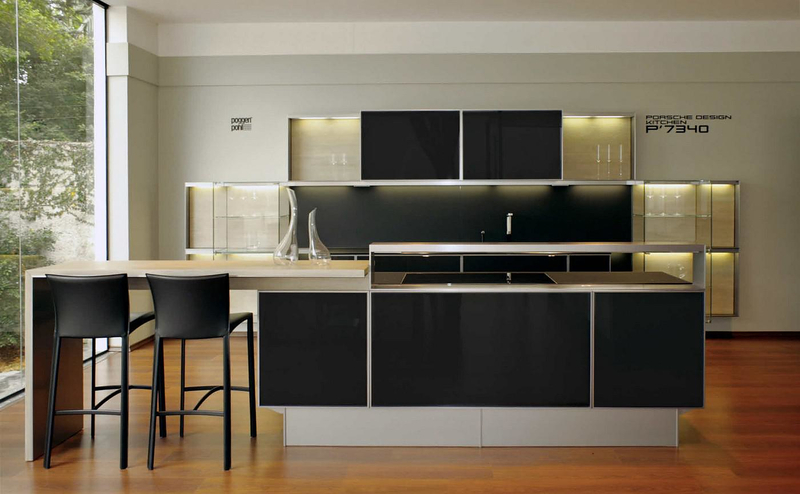 Handleless fronts emphasize the clean, uncompromised lines of the kitchen furniture. 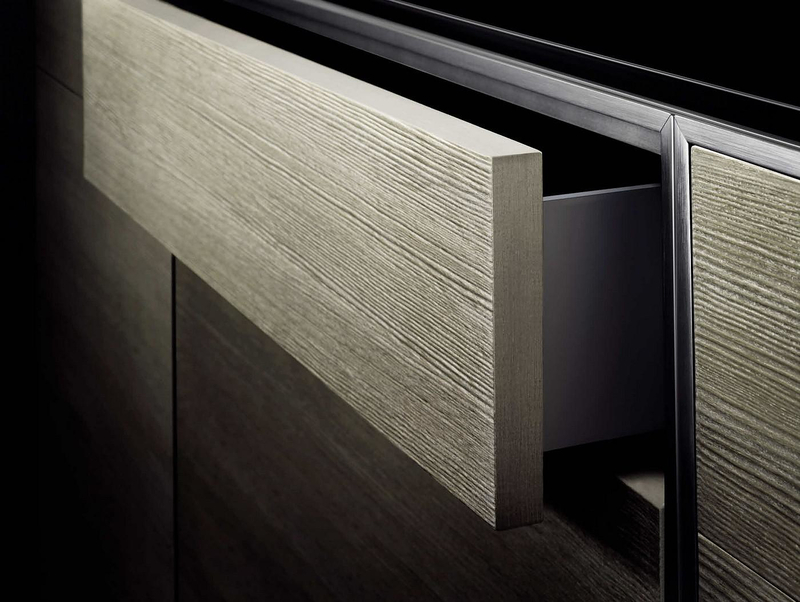 Alternatively, practical aluminum rail handles accentuate the kitchen’s horizontal lines. 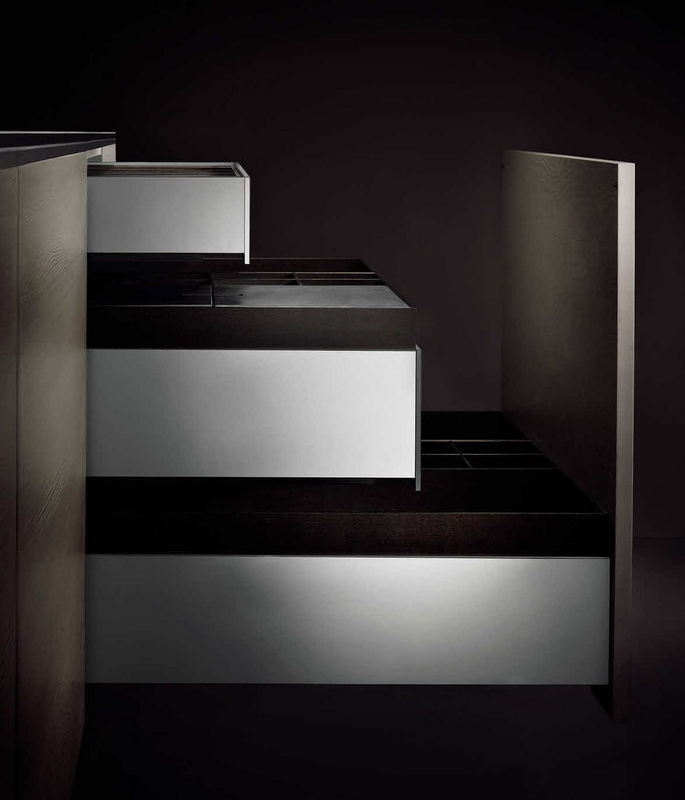 Assisted drawer openings operate at the touch of a finger, automatically gliding out a short distance. 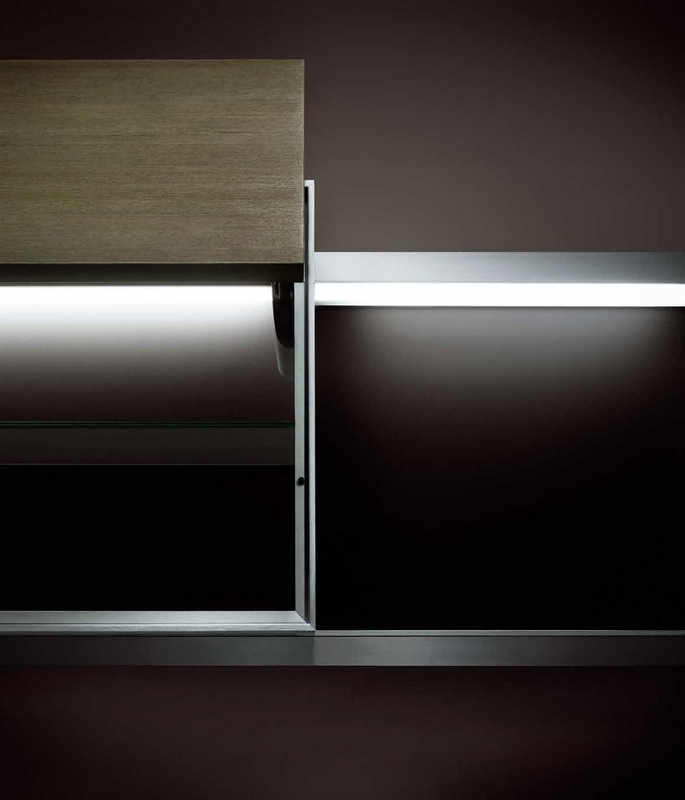 They close in response to a light push; a soft-close mechanism slows them down and automatically completes the closing cycle. 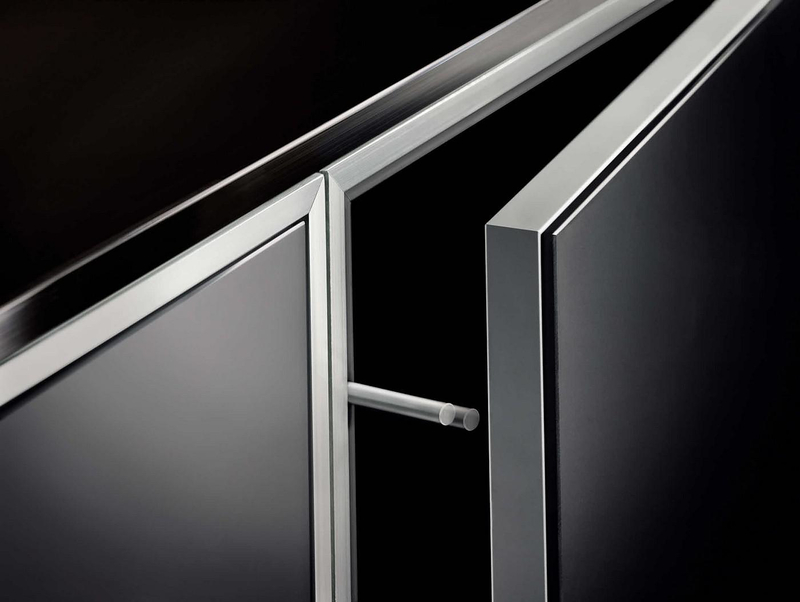 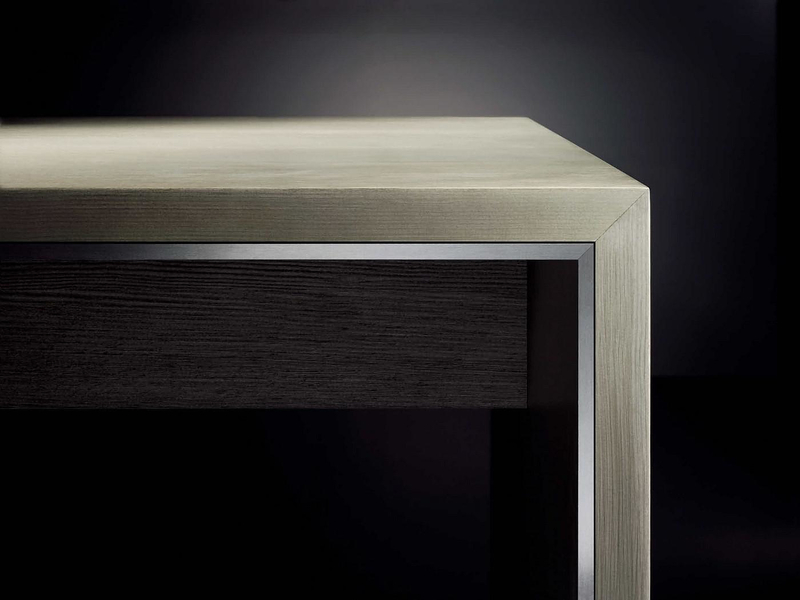 The inset door fits precisely within its frame, the front edge of which is finished with a brushed aluminum profile. 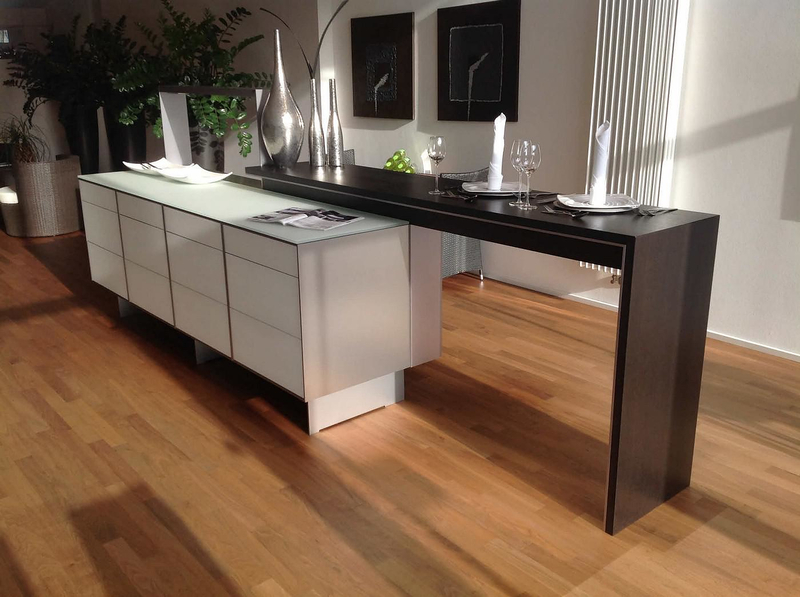 A narrow shadow gap creates a distinctive feature, which is repeated throughout the kitchen. 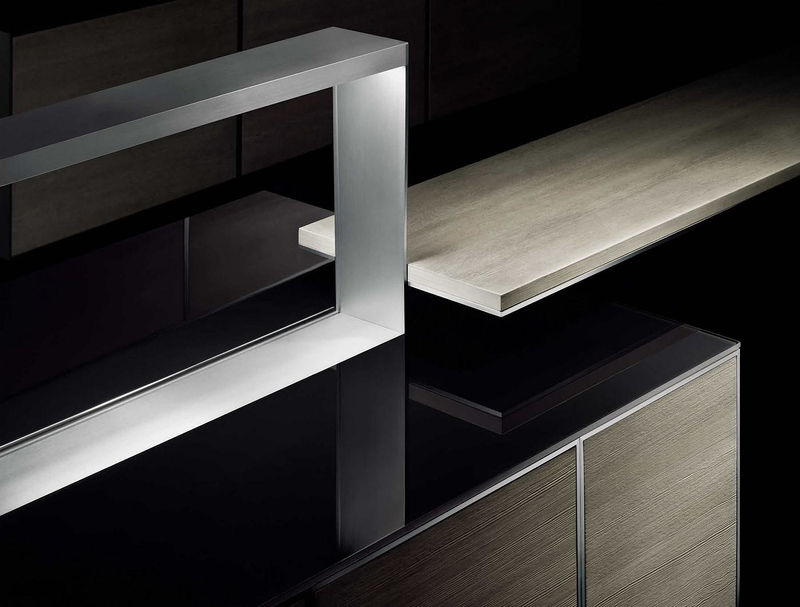 High-quality materials and unique finishes further define the unique look of the Porsche Design Kitchen. 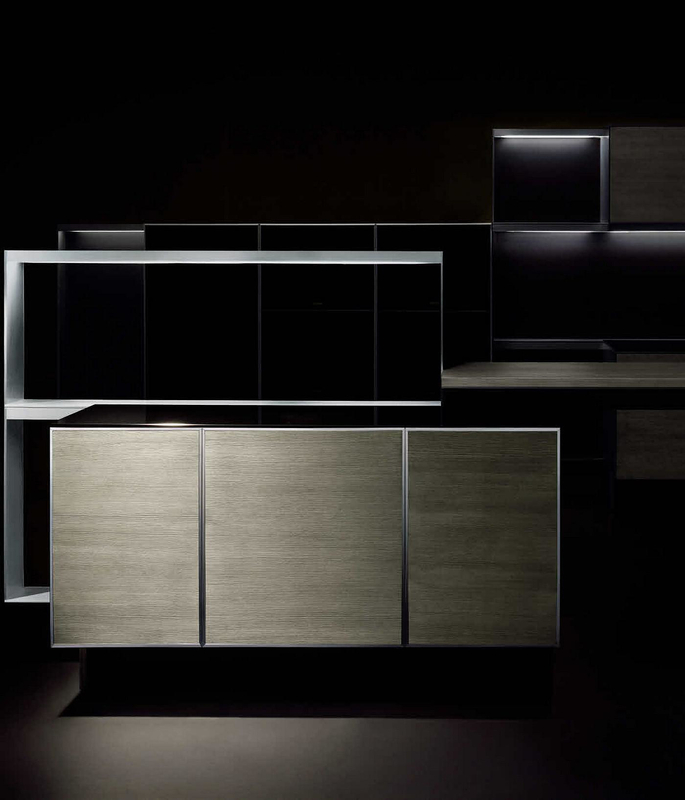 In addition to the wonderful aluminum-framed cabinets, all metal parts are sealed with special anodized coatings in exclusive color shades, while wooden surfaces display their texture and grain. 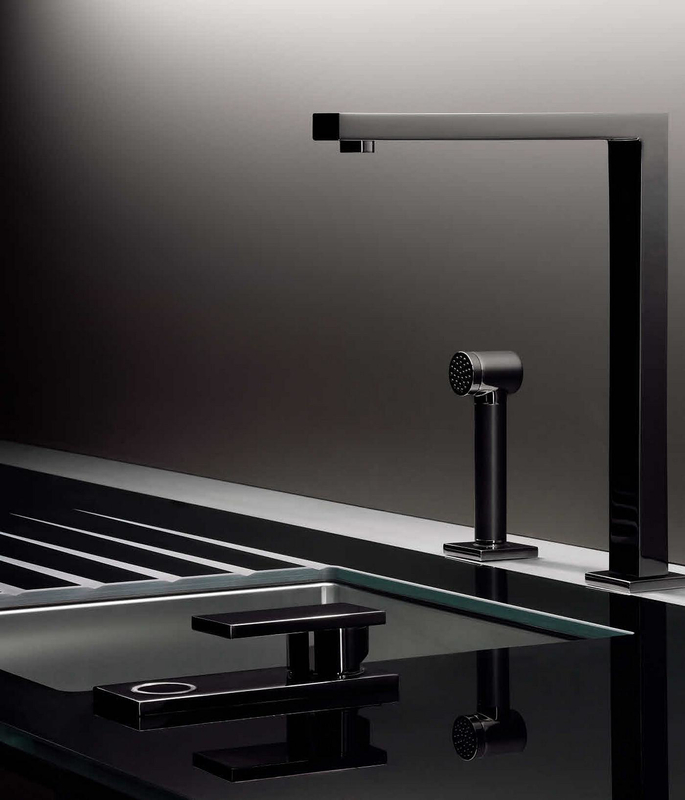 Porsche Design has branched out beyond its automotive roots to create products that encompass fashion, sport, travel and the home. 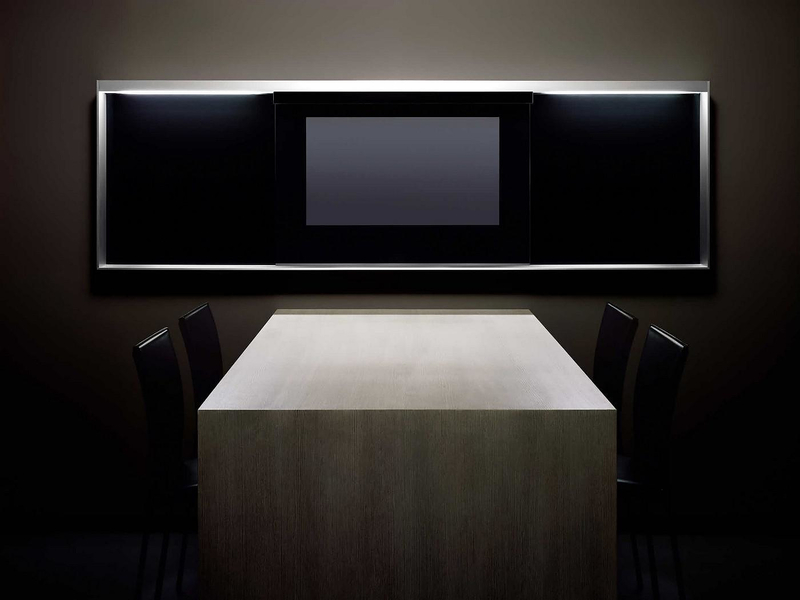 Porsche Design’s Roland Heiler explains the thinking behind Poggenpohl’s Porsche Design range.